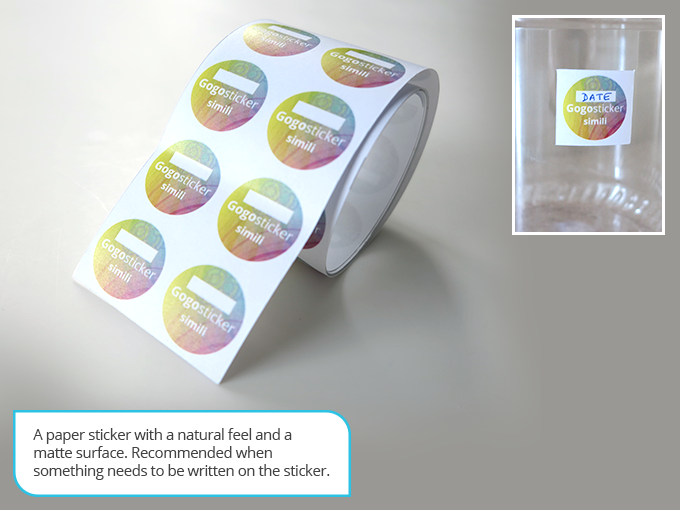 Stickers are a creative way to get your message or branding across to the right audiences. Affordable, durable, and eye-catching, they are a great addition to your product packaging or to use in an offline marketing campaign. They are an effective tool to advertise your products and services or as a label on your product. 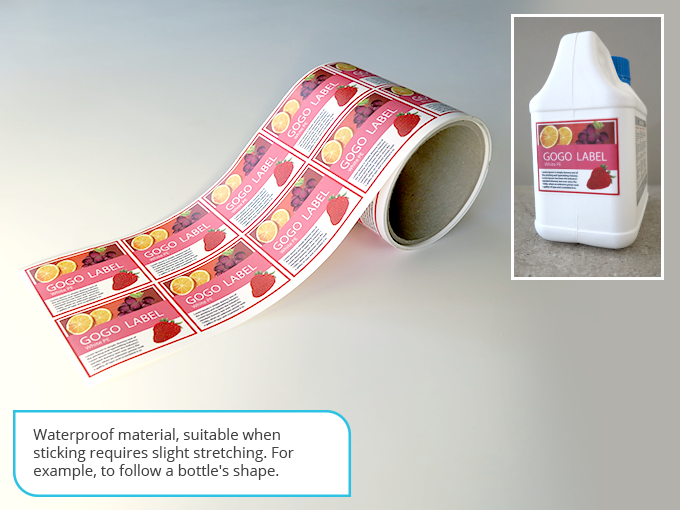 By printing Sticker Roll you can dispense and distribute your stickers in large volume. 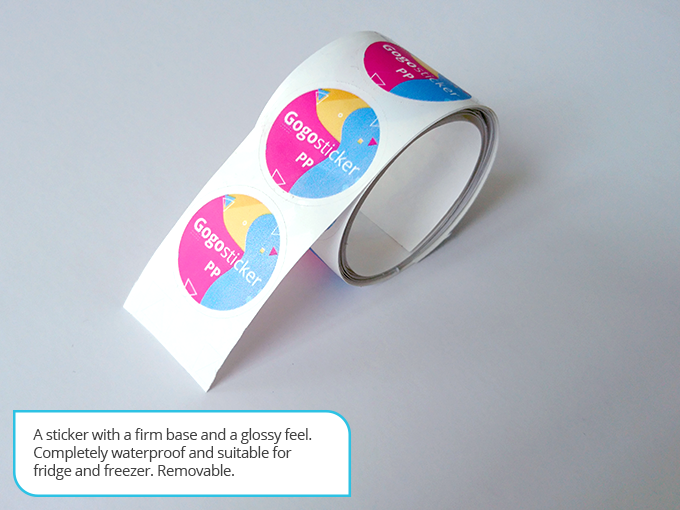 Gogoprint offers different sticker printing options and are highly customizable to the needs of your business. 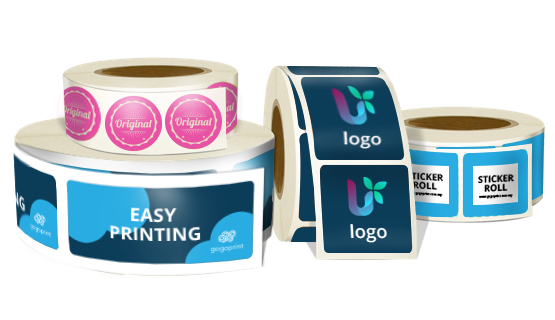 Choose from a variety of formats, material types and shapes to make your stickers more impactful and memorable. Place your orders today to enjoy a free and fast delivery at your doorsteps. Make sure that the colors in your artwork match the configuration of your order. Our n can be printed in full CMYK colors, in spot colors, or in a combination of both. The number of spot colors used in your artwork has to match the configuration of your order, otherwise an additional charge may apply. 1. Which production techniques are used? A paper sticker with a natural feel and a matte surface. Recommended when something needs to be written on the sticker. 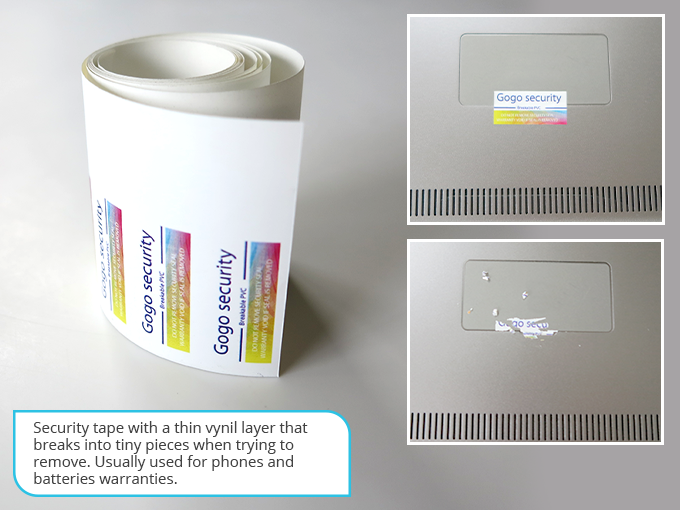 A paper sticker with a glossy feel. Can be laminated. A sticker with a firm base and a glossy feel. Completely waterproof and suitable for fridge and freezer. Removable. Waterproof material, suitable when sticking requires slight stretching. For example, to follow a bottle's shape. 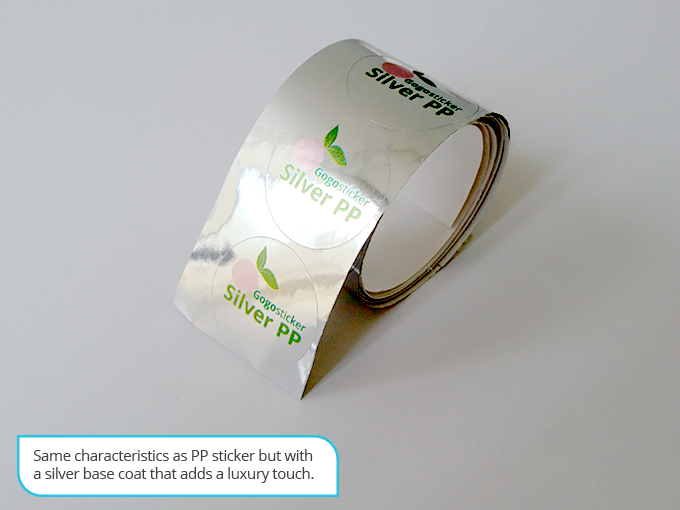 Same characteristics as PP sticker but with a silver base coat that adds a luxury touch. Security tape that breaks when trying to remove. 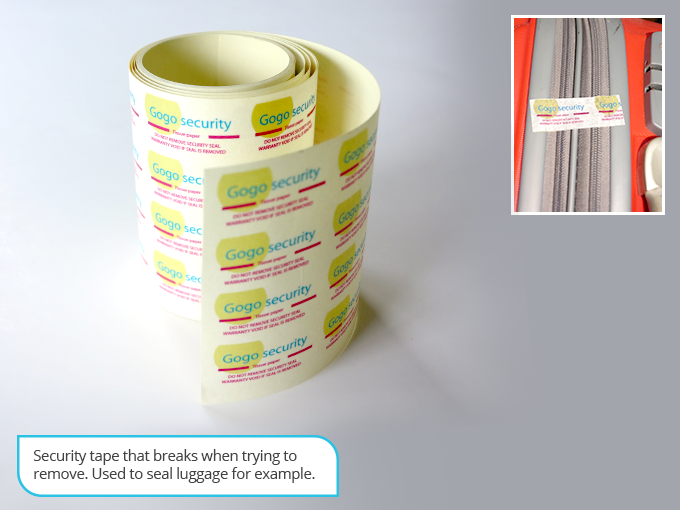 Used to seal luggage,for example. Print with one special premixed ink. Print with two special premixed inks. Print with three special premixed inks. Print with four special premixed inks. Print with five special premixed inks. Print with six special premixed inks.